Dental emergencies can be scary and painful. 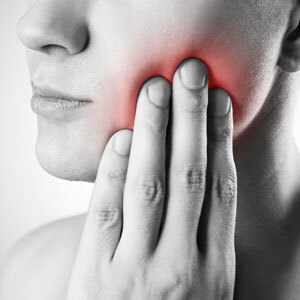 A throbbing toothache often requires immediate attention due to how uncomfortable it can be. If you’re looking for a family dentist to treat your dental emergency, you’ll be glad to know that we provide attentive care to people of all ages. Knocked-Out Tooth: Avulsed teeth should be treated quickly, as reinsertion is often possible. Locate your tooth immediately and store it in a sealed container, completely submerged in milk or saline. If you’re able, you can attempt reinserting the tooth into the socket (do not force it). Take care not to touch or scrub the roots, as this can damage the fibres that aid in reattachment; only a brief rinse to remove any visible debris is necessary. For best results, get to our office within one hour. Broken or Chipped Teeth: When only a portion of a tooth breaks off, it may be possible to bond it back into place. As with a knocked-out tooth, locate the fragment and store it in a sealed container where it is completely submerged in milk or saline. Bring it to our office within 1-2 hours. Dental Abscesses: Severe toothaches are often the result of an abscessed tooth. If you have a visible pimple or swollen area along the gums near the roots of where a tooth would be, it’s likely an abscess that is draining. A bad or salty taste may also accompany the infection. We may need to place you on an antibiotic to reduce the pressure that’s causing the pain, but ultimately the best treatment is to perform a root canal. Denture Repairs: Dropping your denture can cause cracks or broken teeth, making it impossible or embarrassing to wear. It’s important not to try to repair your appliance on your own, as it could result in permanent damage to the acrylic. Bring it to our emergency dentist to find out if a repair is possible. If it isn’t, we’ll walk you through getting a replacement made. Crown or Filling Damage: Sometimes an old restoration can fall off when you least expect it. Eating a sticky food or biting into something crunchy may cause an ageing filling or crown to go ahead and come loose. If it does, be sure not to chew on that side of your mouth until we’ve repaired it. While fillings can’t be placed back into a tooth, crowns can often be reused. Store your crown in a zip-top bag to prevent accidentally misplacing it and bring it directly to our office. Swelling or Bleeding: Some dental injuries are more related to the soft tissues, like your gums, lips or cheeks. We’ll evaluate your tooth to ensure there’s no damage and then discuss if any small sutures are needed. Apply a cold compress to the area with firm pressure to alleviate bleeding or swelling. If symptoms get worse or do not improve, seek out immediate medical attention. If you’re in pain, call our office for immediate emergency care.